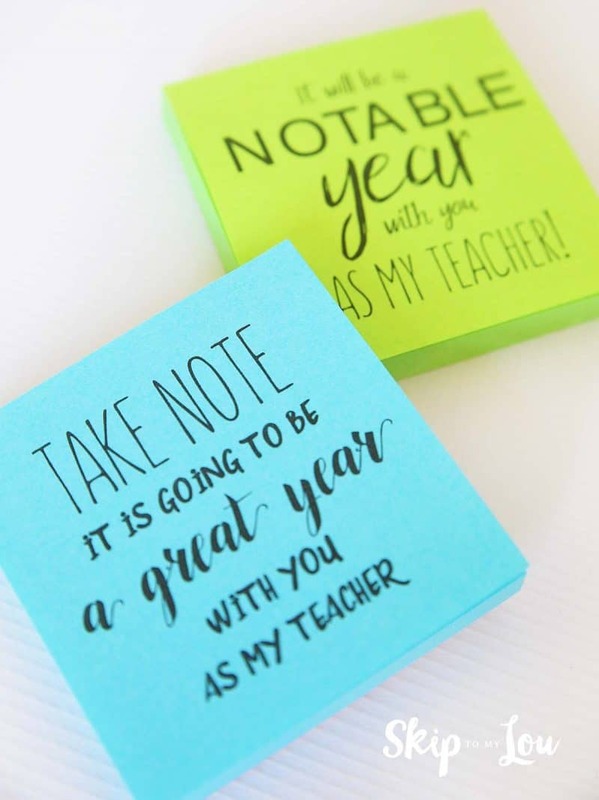 If you want to send a little back to school gift to your child’s teacher this Post it Note back to school teacher gift is super easy to make. The best part of this gift is you are gifting your child’s teacher something they can really use! 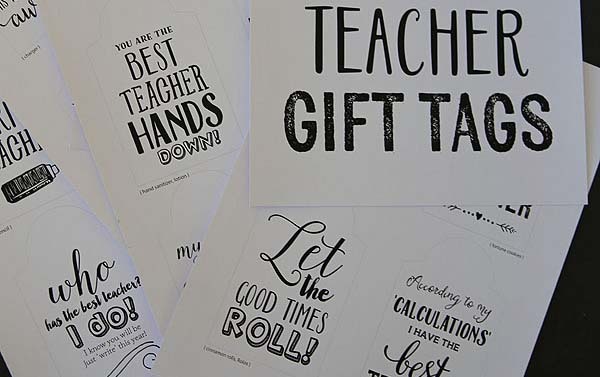 Looking for more clever teacher gifts? 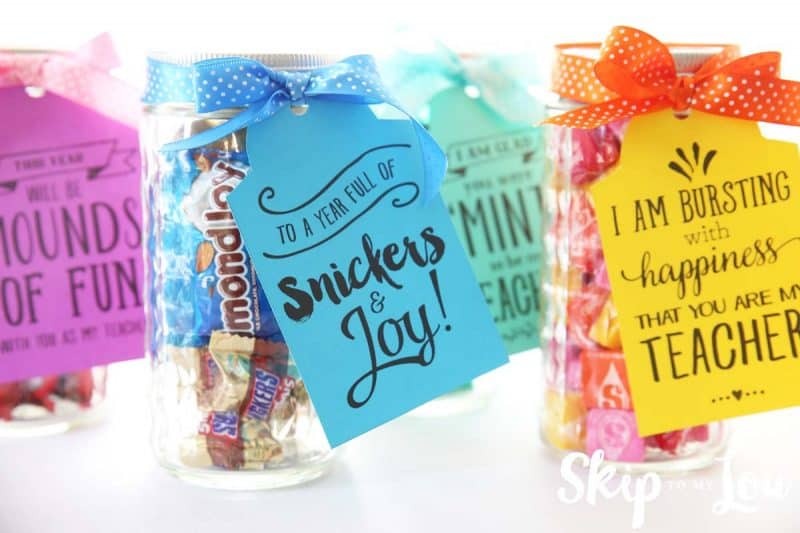 Here is a tag perfect for giving sharpie markers for back to school and four different printable candy grams for teachers. Let your teacher know that you are willing to lend a helping hand this year with this back to school gift idea. What a special way to gift hand soap. You will let the teacher know that you are willing to lend a helping hand this year! What a great way to open the lines of communication! Printing on sticky notes is easy. 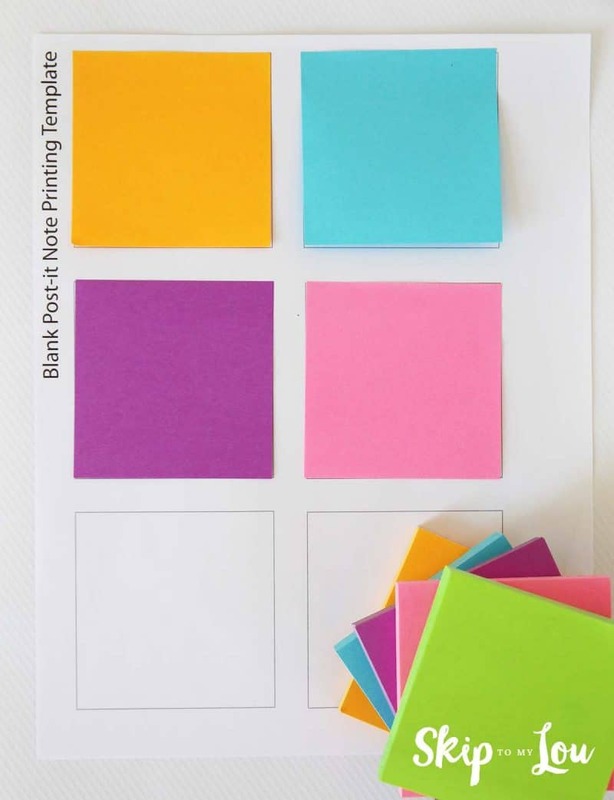 Download and print out the Post-it Note Printing Template. Place sticky notes on the squares. Put the template in the tray of the printer so it will print on the sticky notes. I place the paper upside down with the top of the page heading into the printer first. Print. You will have a perfectly printed sheet of sticky notes. So many things can also be printed on Post-it notes. 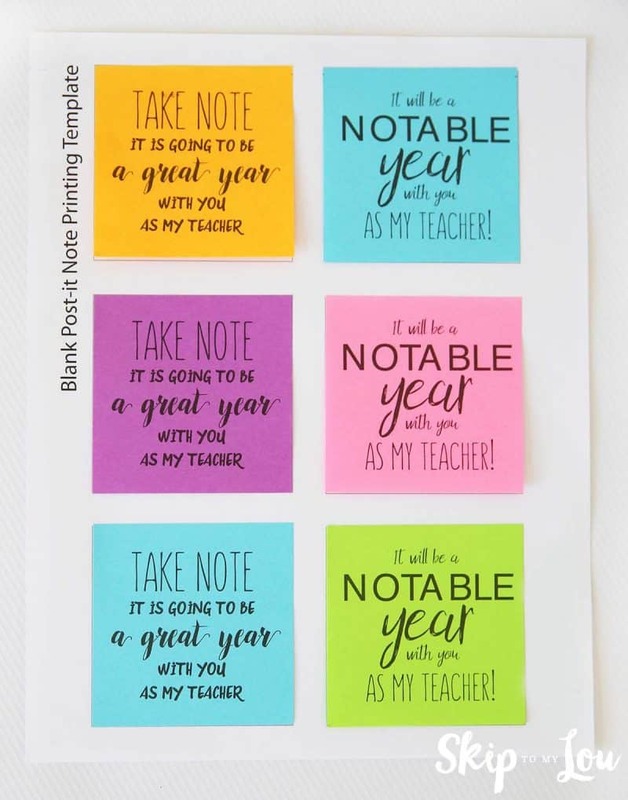 Enjoy all these free printables for Post-it Notes. Peel off the sticky notes and place them on top of the pad. The sticky note can also be places on the package of new Post-it Notes if you want to give a new package. Wrap the sticky notes up with a bow 0r in a cello bag with a pretty ribbon. 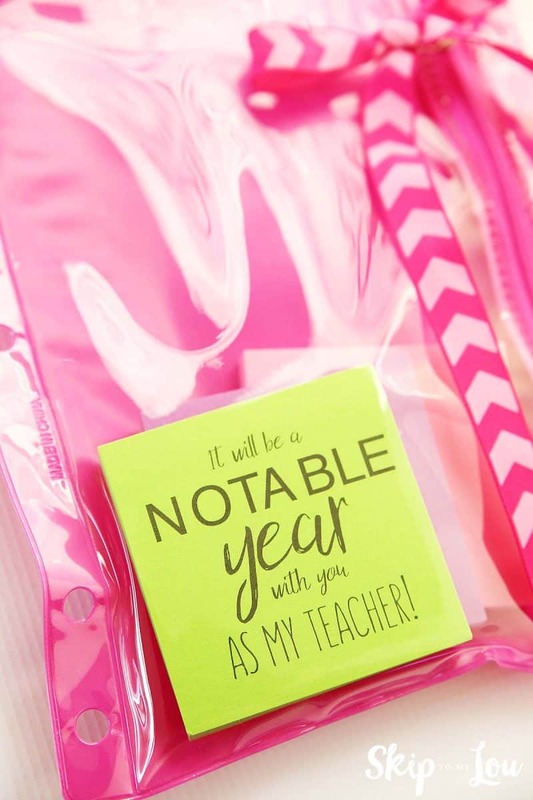 The sticky notes can be placed in a zippered school bag or other cute container. 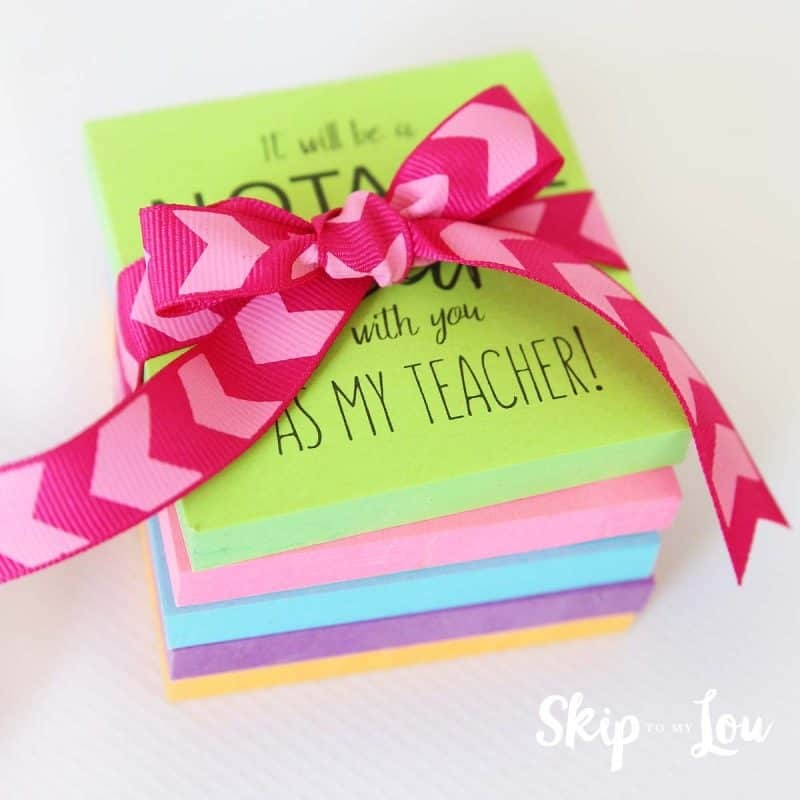 Your child will love having something special to share with their new teacher! Make sure you give your teacher exactly what they like with a Teacher Favorite Things Questionnaire Printable . 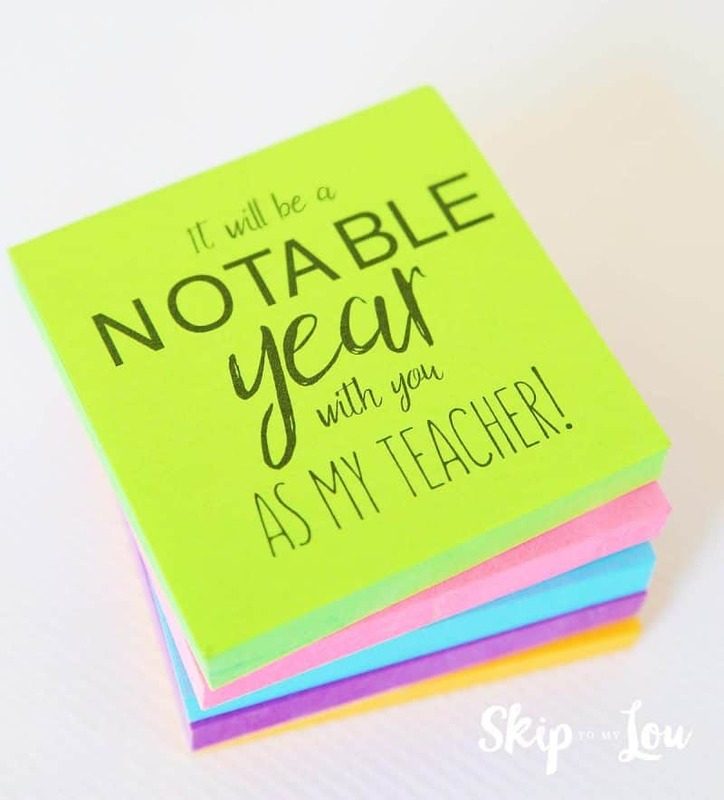 Once your teacher fills out this questionnaire you will have great ideas for gift giving all year long. Don’t forget to record the first day of school with a First Day of School Coloring Page. 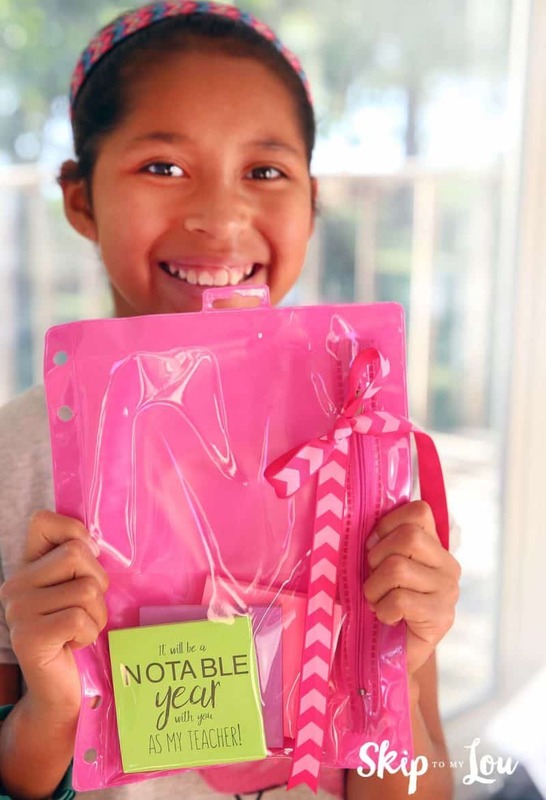 There are so many ways to make back to school memorable! 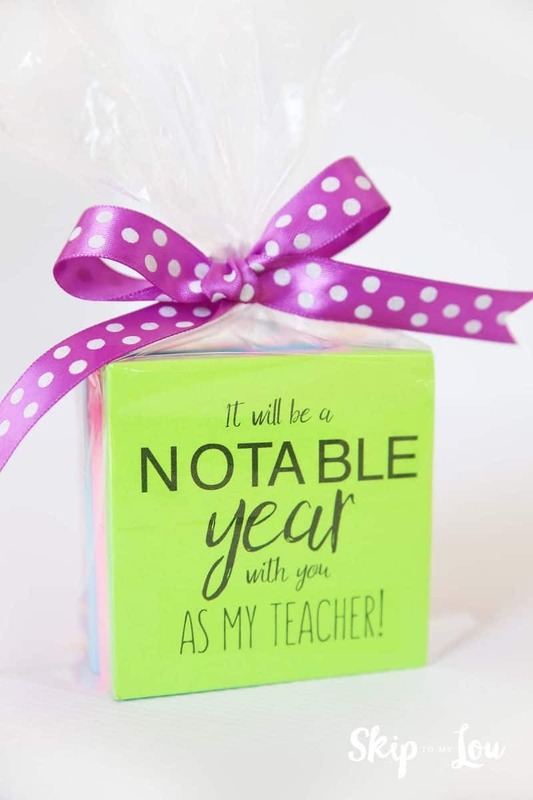 I love sharing teacher appreciation gift ideas. My hope is that you will always find something on Skip to my Lou that you can use to make your life better! Thanks so much for spending a little time with me!